I can’t believe 2 years have gone by since starting Beer In Hawaii. The beer scene here has come a long way and I truly believe it’s only going to get better. I’m amazed and so pleased at how the site has been received and embraced. 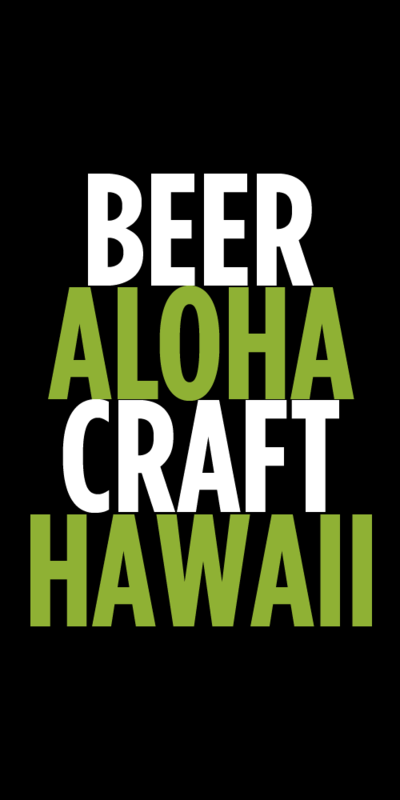 It’s been a ton of fun writing about the beer scene in Hawaii. I do this purely for fun and I’ve never made any money from it (lol, as if there was money to be made.) I’ve been able to meet so many incredible people through the site and that alone has been worth all of the effort behind keeping it going. As the site has grown and it reaches more people I have been lucky enough to receive a bunch of free stuff. From beer to event passes, books to random swag. As the beer industry grows, businesses need to get their name and product out there to influences. It is very common for breweries to send samples of new beers to dozens of bloggers and writers across the country. It’s makes sense and is just good marketing. It is my responsibility to inform you, the reader, what has been given to me. I’m not a journalist, but I believe it’s important to be transparent and honest about the process. Jeff Alworth, who’s Beervana blog is a must read for any beer lover, tackled the subject in great detail last year. There are hundreds of “beer writers” online now and together we have a huge influence on the greater public. It’s vital that we build trust and keep a level of integrity in our commentary about beer and the breweries that make it. 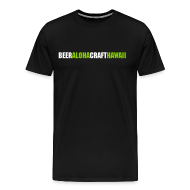 When I first started Beer In Hawaii I vowed not to get into beer reviews, primarily because I feel people should make up their own mind about a beer. Too many beer reviews are all raves and no rants. I’ve tried to recommend beers for people to try, purely based on my own likes, but keeping that going has been difficult because there are so many new beers coming into the state each month. My goal for 2015 is to provide you with full disclosure on what’s been provided to me. It’s only fair. I’m looking forward to an exciting 2015 filled with lots of great beer, new local breweries and a bit more transparency. Tags: bottle opener, Bullets to Bandages, full disclosure, swag. Bookmark the permalink. Previous post ← Brewery in Planning: Stewbum & Stonewall Brewing Co.
At the Beer Bloggers Conference in San Diego this year, there was a whole panel discussion on ethics as a beer blogger and I found it fascinating and so educational. What are the expectations if a brewery sends your beer, or hosts you for a weekend, or gets you press passes for a really cool event. How do your readers know you aren’t hyping up a brewery just because that brewery has been so kind to you? How long is it until you’re essentially sleeping with that brewery? The consensus was: if you write a negative thing about one brewery, that shouldn’t stop you from writing negative comments about several breweries, whether they treat you good or not (good example: SD journalist Brandon Hernandez). OR… if you don’t like saying negative things about their beer or something, find something else about that brewery that is positive. Perhaps it’s their customer service, or facility, or restaurant.. Something! But either way, what you do for one brewery, you should do for another. Definitely easier said than done and for-sure a touchy subject amongst many journalists! I’m off to Hawaii tomorrow – hallelujah! Thanks for sharing! I frequently visit to get updates about beers coming our way and have found a few new favorites based on your reviews. That being said, sometimes I find the beer updates are too close to shipment (e.g. 2 cases expected on Friday….but posted on Friday). Is there any way to subscribe to feeds for real-time updates? Thanks again for the info, much appreciated! I post all the updates on Friday just for consostency. Sometimes i post alerts on Twitter or Facebook earlier so follow me there. Sorry there are a lot of different vendors and its’s hard to keep up with everyone. Thsnks for the support.